The Merchant Account Explorer (MAE) is in its 6th year of providing U.S. and international businesses both with merchant account reviews, and with recommendations for reliable and trustworthy merchant processing services. high sales volume businesses more information. We take pride in offering you the internet’s best selection of reputable merchant services & credit card processors, as well as numerous educational resources. Where possible, when including information on a particular provider, we try to include the rates and fees that the provider advertises, so you can compare it to other providers and make an informed decision. Locating the best merchant service so you can accept Visa and MasterCard in your business can be a time consuming and frustrating experience. But remember that making the wrong choice of a merchant service can seriously affect your business – either in unforeseen costs, or in interruptions to (or possibly even a termination of) your processing system. If you would like us to help you determine which merchant services provider is the best fit for your particular business, simply Click Here to Apply and we will review your information and have the provider that is most suited to your needs contact you by phone or email. So enjoy our site and let us know if you have any suggestions to improve on it. We are serious about our commitment to offering you the most professional merchant account reviews and information, so that you can make an informed decision as to which merchant processing service is the right one for your business. Watch a very short video from Authorize.net explaining what happens when you accept a customer’s credit card. The video is less than 2 minutes long, so check it out. 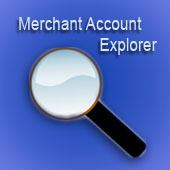 Here at the Merchant Account Explorer, through our experience over the years, we have located some merchant account services that are more open to approving businesses with bad credit. And without a doubt, the best solution we have found is Charge Inc., who have been specialists in helping ecommerce businesses with their processing needs for 16 years. One of the biggest challenges often facing online entrepreneurs is finding reliable merchant services for their internet marketing activities. When analyzing whether to approve an online business for a merchant account, processing banks evaluate the risk inherent in the applicant’s operations. Internet marketers face a hurdle. At times electronic stores can have difficulty obtaining or retaining merchant services. The most common reason is that many products offered to their customers are high end electronics, in the sense that they are priced at several hundred dollars, to thousands of dollars. If you are an Australian merchant looking to do online business globally, you’ll obviously need to offer your customers the ability to use credit cards and debit cards for their purchases. The Transaction Group is a reliable source for international ecommerce transaction services. As the owner of a small business, you probably already understand the typical benefits of being able to accept credit cards processing for electrician’s services – namely, increased revenues, and no worries about checks from customers being returned as NSF. 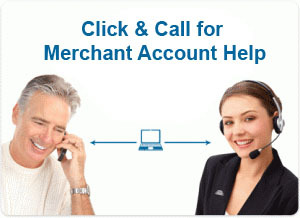 But there is another more recent advantage to having merchant services for your electrician business. Are you the owner of a property, commercial or residential, from which you receive rental income? If so, in the past you would normally have to be paid by your tenants with a check, each and every month. You know a lot about cutting, styling and coloring your customers’ hair. But do you understand all the benefits of being able to accept credit and debit cards utilizing a hair salon merchant account? Many customers these days don’t like to carry cash, so allowing them to pay for their hair styling with a debit or credit card translates into more customers for you.